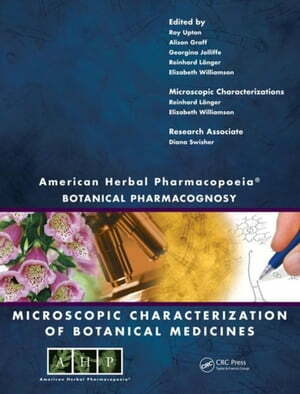 Collins Booksellers - American Herbal Pharmacopoeia: Botanical Pharmacognosy - Microscopic Characterization of Botanical Medicines by Upton, Roy, 9781420073287. Buy this book online. The botanicals covered represent 90 percent of the dollar value of botanical sales in the United States. The focus is on those species that are in high use, and those that are commonly adulterated. It also covers a number of popular Asian botanicals, providing the first English language description for many of these.